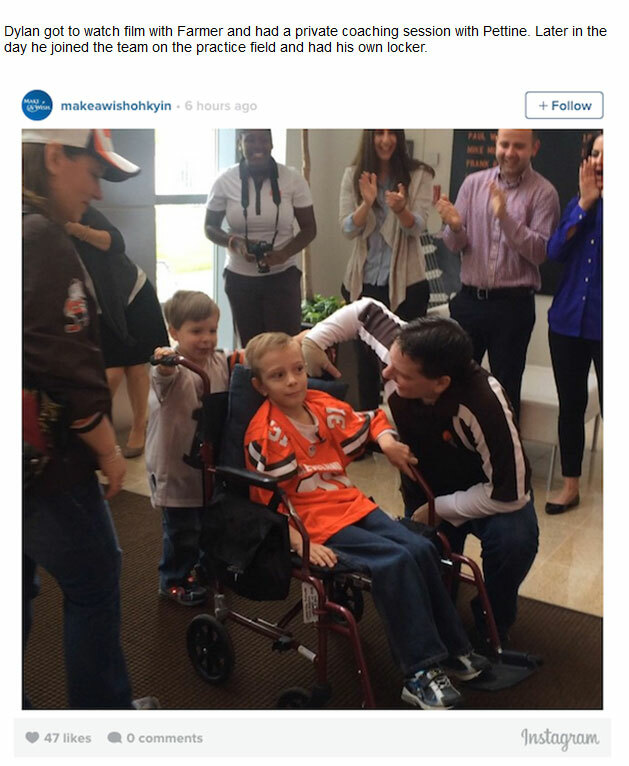 Dylan Sutcliffe is a 9 year old boy who was diagnosed with ataxia telangiectasia. 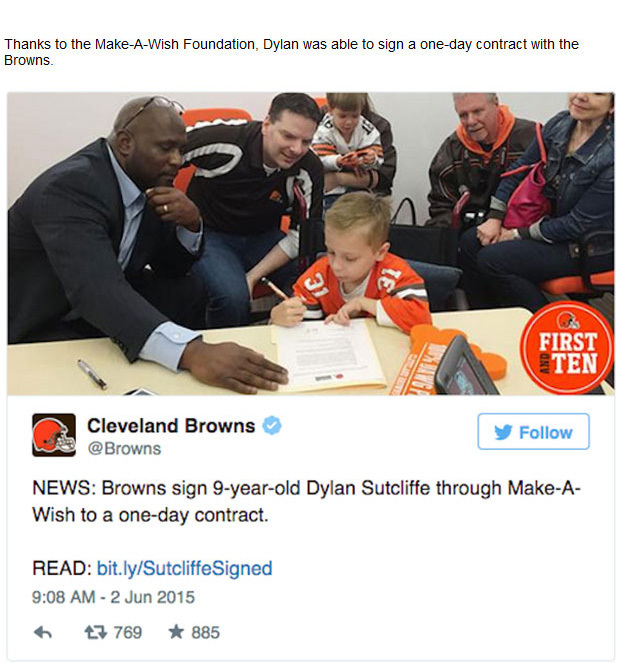 It's always been his dream to play for the Cleveland Browns so the team granted his wish and signed him to a NFL contract. 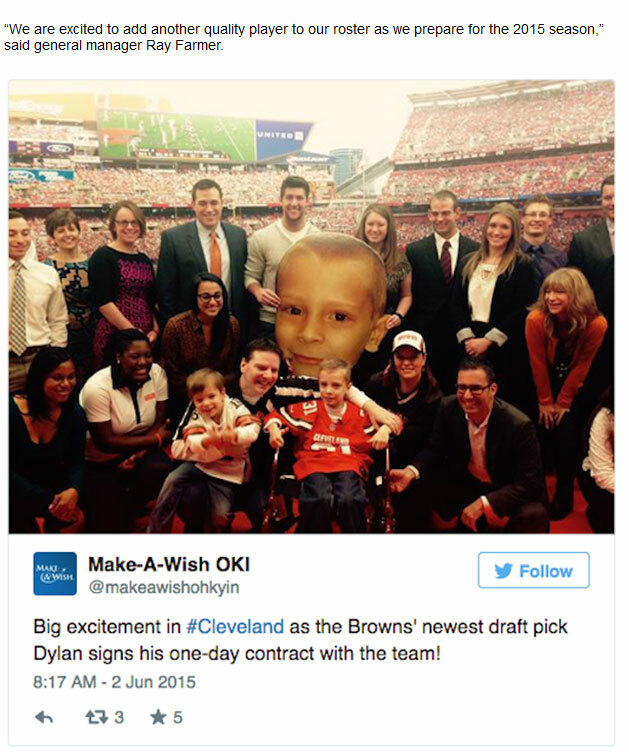 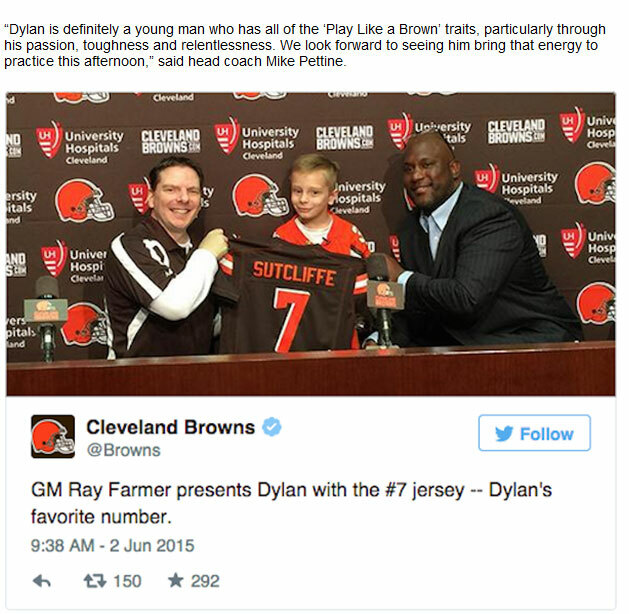 0 responses to "The Cleveland Browns Signed A 9 Year Old To A Contract To Grant His Wish (4 pics)"